I finished the Summer Mandala just a few days ago, and it signals the end of many summer tasks. I am not quite ready for it to be September. I’m never really ready for September, but this year it seems especially difficult. 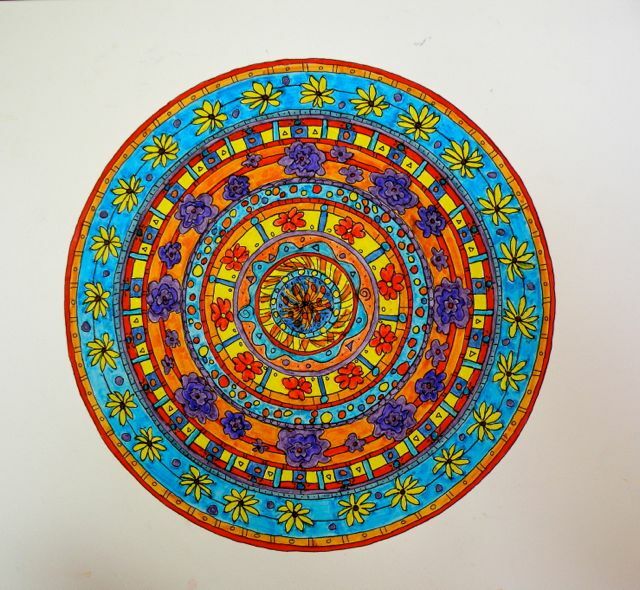 I want the sunny bright colors of the mandala to last longer. I want the flowers to stay around. I want the garden to keep growing. I do love Summer! And I am working on Trust in so many areas of my life right now. Learning to trust that the strength and sense of flow that summer brings me can last into the Fall, even when it is rainy and gray. I’ve completed three of the seasons. One more mandala to go in my version of the four seasons. This is so beautiful! I must say I feel a little sad that summer is ending, too.